The Forecaster’s forecast: Falmouth had another solid season in 2015, but couldn’t muster up any offense in its playoff loss. 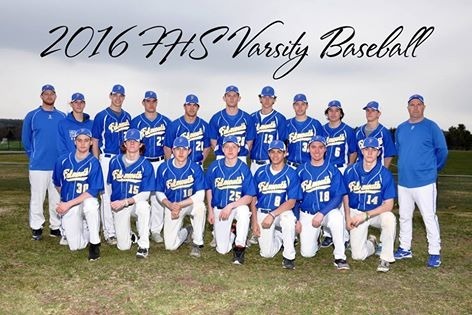 This spring, the Yachtsmen are viewed by many coaches as the favorite in the region. That’s due in large part to two excellent left-handed pitchers. Guarino followed up his stellar freshman season with a dynamic sophomore campaign, going 7-2 with a minuscule 0.57 earned run average en route to being named a first-team league all-star. Guarino also struck out 52 batters last spring. Reece Armitage wasn’t 100 percent much of 2015 due to an elbow issue, but he still managed to finish 3-1 with a 2.47 ERA and 27 strikeouts. Those two will make life miserable on the opposition. Also seeing time on the mound this season will be Coyne, seniors Jesse Melchiskey (who was injured last spring) and Hogan Tracy, junior Max Fortier and sophomore Griffin Aube. Camelio is being groomed as the closer. The loss of standout catcher Connor MacDowell presents a challenge, but senior Alex Whitmore and sophomore Garrett Aube were vying for the spot at press time. Offensively, Falmouth features several potent bats. Connor Aube, who had a transcendent football season, will gear up for his stint at the University of Tennessee-Martin by pacing the offense. Aube hit .412 during a first-team all-star season last year. He had 21 hits, scored 20 runs and stole 13 bases. Aube will play centerfield. Robbie Armitage made the second-team a year ago after hitting .361 with 22 hits, three triples and 20 runs batted in. He’s the shortstop and along with Coyne (15 hits, 10 runs scored in 2015), makes up arguably the best middle infield around. Gee (.273, 12 hits, 11 runs last season) is another hitter to watch. He’ll be in leftfield. There’s a lot of talent and depth on this roster. 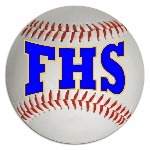 Falmouth is in Class A for the playoffs, but the Yachtsmen, other than in preseason scrimmages, won’t see teams from the Southwestern Maine Activities Association until the playoffs in June. In the meantime, they’ll be seriously tested by top-notch traditional rivals from the Western Maine Conference and those games will only make the team more battle tested. In its third season at that level, Falmouth is ready to ascend to the top of Class A. With arms, bats and gloves like these, it’s easy to understand why the Yachtsmen are so highly touted.